Day in and day out people go to the gym chasing the six-pack abs dream. They spend an hour on abs in the gym and supplement this with crunches and sit-ups outside of the gym. So what if you are part of the crowd that believes you can crunch your way into a set of six pack abs? The first thing you should realize is that abs really are made in the kitchen. Eating the right amounts of the right types of food will turn your body into a fat burning machine. You'll feel better, look better, and eventually, you will have a nice set of abs. If you've ever wondered how someone who's never lifted a weight in their life has abs, look at their body composition. Notice how they are relatively thin? When you have excess body fat (even in the smallest amounts), your abs will be covered in a thin, or thick, layer of fat. This fat is usually pretty hard to get rid of, but you can show off your abs if you start to eat right and train smart. Below are some tips you can use to shed the fat away and start showing off that six-pack. 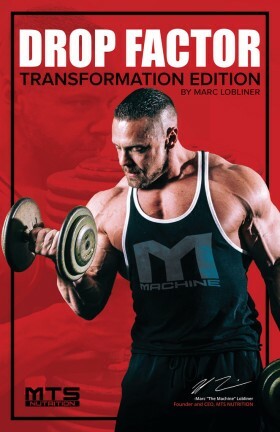 Click here to order the ULTIMATE body transformation book. Taking time to plan your meals out for the week may be one of the most beneficial things you can do. Meal planning allows you to choose healthy foods that you enjoy, it allows you to possibly save money if you shop with coupons, and it helps keep you on track. Use a TDEE calculator to help you figure out how many calories you need. Once you figure out roughly how many calories you burn in a day, you can use this information to plan out your meals. Removing the guesswork from what you are going to eat helps you stay prepared and less likely to "slip up" and eat something bad. Starting a HIIT cardio program will get your metabolism stoked and will help shed away some fat in your midsection. Since we are trying to burn fat and not muscle, HIIT offers a faster way to burn calories without burning off those precious muscles. Trying a different meal timing protocol could be the one thing you need to change how you look. I suggest starting with a frequent feeding schedule, where you aim to eat five to six times per day. Eating multiple smaller meals per day has been shown to increase thermogenic levels as well as metabolic function. One downside to frequent feeding is that you basically will be eating every few hours... and some jobs just don't allow that. Intermittent fasting is another eating option that allows you to only eat in a certain period of time. Generally speaking, intermittent fasting is where you have 16 hours of staying in a fasted state, and then 8 hours of being able to eat. Both frequent feeding and intermittent fasting have pros and cons; pick one that suits your schedule. Foods such as cucumbers, tomatoes, steamed asparagus, or leafy green salads work well. These high-water foods allow you to maintain adequate levels of water while sleeping. Try eating fish as the last meal of your day. Fish makes for a lighter meal and helps you replenish your amino acids while getting a healthy dose of essential fatty acids. Eating more protein helps build muscle, increase satiety, and should be the foundation of your diet. Some of the best protein sources are chicken, turkey, fish, eggs, lean beef, and whey protein. When coming up with what you want to eat, be sure to try to diversify what proteins you use. A good rule of thumb is to consume 0.8 to 1 gram of protein per pound of lean muscle mass. If you are overweight, use your goal weight for calculations. For example, if you are 230 pounds and wanting to get down to 185, use 185 as your lean muscle mass and plan accordingly. Complete No-Crunch Ab Workout For Six Pack Abs! Diversifying your carbohydrate sources and trying different timing protocols can help burn off some extra fat. Manipulating your macros is easy when you prepare your own meals. Choosing a variety of carbohydrates allows your body to get the nutrients needed to build muscle and maintain a healthy body. Eating plenty of fats in your diet can be a challenge for most, due to the "eat fat, get fat" mantra. While most of your fats will come from the protein you eat, including nuts, avocados, olive oil, and coconut oil into your diet will get you plenty of nutritious fats. Other fats such as cheese and other dairy products are also worth noting. Since fats are calorically dense, using these sparingly is advised. Drinking more water allows your body to efficiently change carbs into energy. According to the Journal Physiology of Sport and Exercise, essential amino acids cannot be shuttled to your muscle tissue without adequate water. Getting a signal of thirst is the first stage of dehydration, not that you simply need a drink. Drink often throughout the day, and really load up before and after you hit the gym. Lowering your stress levels will keep cortisol at bay. Cortisol is a hormone that makes it much harder to lose weight due to it increasing blood sugar through gluconeogenesis. Learning to unwind and de-stress should be a top priority on your list. High amounts of stress can kill you and it makes losing weight more difficult. Lower your stress levels by practicing yoga, walking, hiking, meditating, or any other form of lowering your stress works great. Had a long day? Unplug from the Internet and your phone and go get some extra sleep. Matching these eating tips with a balanced workout program will yield a set of abs that even your momma would be proud of. If you really want to see your abs, take the time to plan out your meals, choose a variety of foods, and keep your stress levels low. "Cortisol - Wikipedia." Wikipedia, the Free Encyclopedia, Wikimedia Foundation, Inc, en.wikipedia.org/wiki/Cortisol. Accessed 16 June 2017.